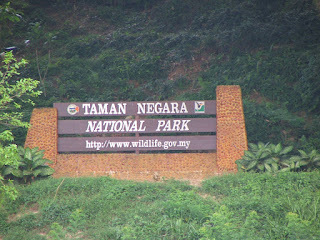 The next three days we ventured into the jungles in Taman Negara, the oldest tropical rain forest. 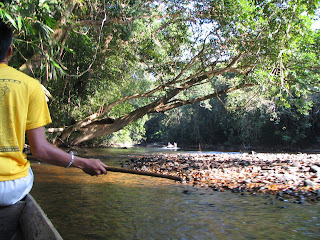 We departed from Jerantut jetty, taking this wood sampan, cruising into the national park. It took us 3 hours to arrive. 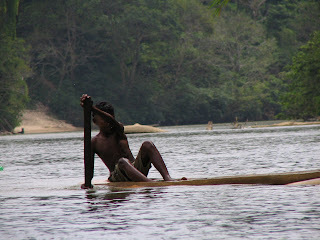 While we were enjoying the quiet scenery around, we saw this boy rafting with a simple wood sampan. 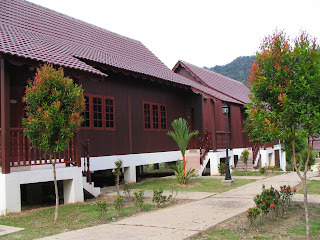 We stayed in this Woodland Resort, where during the second night, it experienced electricity failure. Well, no electricity in this primitive environment, it sounded right. 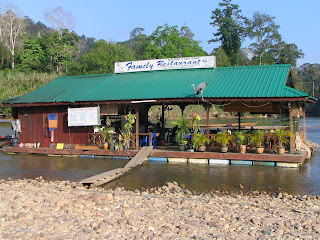 We had lunch and dinner in one of this kind of floating Malay restaurant. We had some problem with the tour guide, who was supposed to meet us after lunch, but he didn't show up. 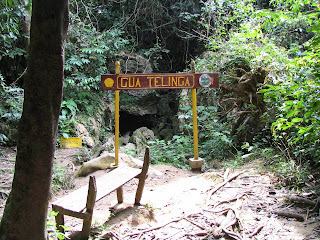 Eventually we had someone coming to lead us to Gua Telinga, the Ear Cave. Inside the cave is full of bats, you can see them from a very close distance. More cave venturing. 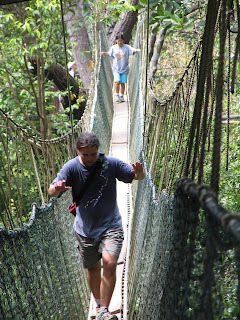 I think after Gua Tempurung (Coconut shell Cave) we were all well trained. 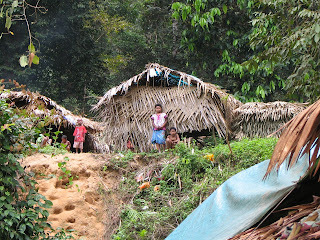 Along the way we passed by this indigenous village. 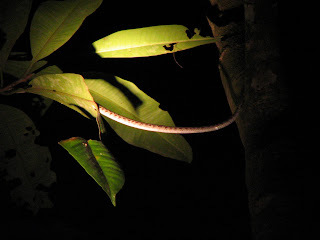 We had night safari walk during the night to observe the wildlife and the insects inside the jungles. 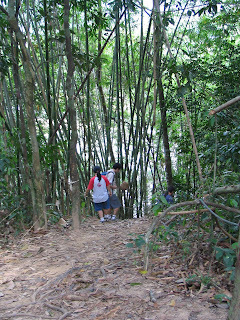 The second morning we trekked inside the jungles. Observing the plants around us. 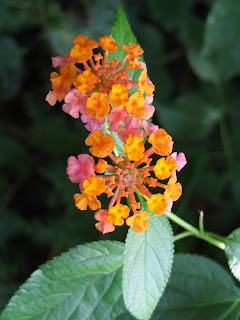 Enjoying the flora and fauna inside. 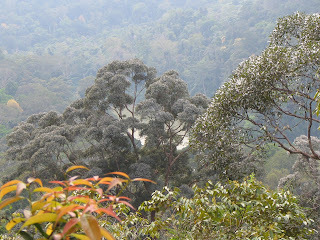 The view when we arrived at Teresek Hill. In the afternoon we did the rapid shooting, everybody got drenched, bcos the tour guide pourred us jungle water!! 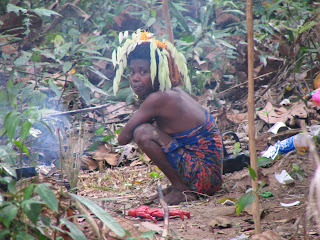 On the way we visited the Orang Asli (indigenous people)'s settlement. 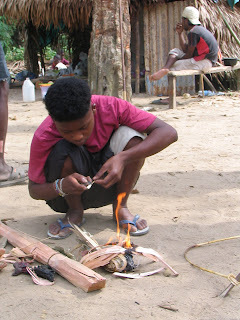 The villager showed us the primitive way to make fire. 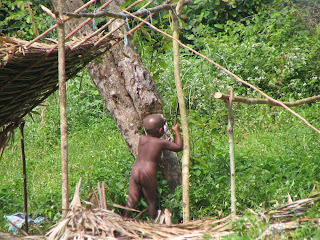 The young kid learn how to use the resources in the jungles. 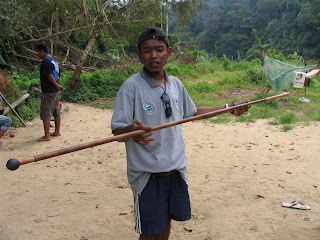 Our tour guide was explaning the equipment used by the indigenous people for hunting. 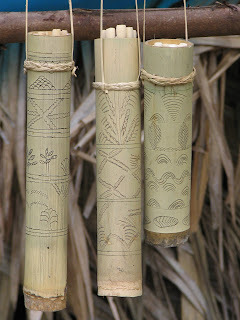 Some of us bought this as souvenir, and hopefully it will help the people. We use this kind of small boat (sampan) to transport around places. 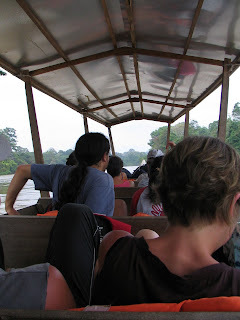 I really enjoyed the quietness in the jungle on the boat. On the third day we were cruising to Data Bekoh, a natural water fall. 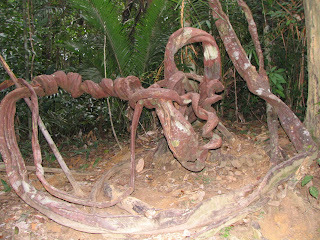 On the way back, we saw a green snake! We checked out around 1pm, our travel agent came to pick us up and sent us to Jerantut, where we took a bus back to Klang. It was a very lousy bus, with leaking air conditional and dirty seats. It took us around 5 hours to arrive Klang. We were so tired when we arrived, luckily we got to eat Nasi Lemak as dinner.